Dr. Robert Cook is a native of Arizona. He and his wife grew up in Tucson. He earned his Eagle Scout from the Boy Scouts of America by completing a project providing school supplies to a local underprivileged school. Dr. Cook stayed in Tucson his college years, graduating from the University of Arizona with a Bachelor of Arts degree in Spanish Literature. While attending college, Dr. Cook worked as an optometric technician and optician. He was also active in the Tucson community as a Cub Scout Leader, a volunteer for Special Olympics, and a volunteer for Act Kids Health Fair. Dr. Cook earned his Doctor of Optometry from Arizona College of Optometry at Midwestern University in Phoenix. He was the recipient of the Western Interstate Commission for Higher Education Scholarship during his graduate education. Dr. Cook remained active in community service volunteering for the VSP School Screening program providing vision screenings to underprivileged school children. While at Midwestern, he served as a Teaching Assistant and Tutor providing a Spanish for Optometrists course and courses on optometric theory and ocular anatomy. Dr. Cook was President of the Future Optometric Residents Club and was a representative of the Student Government Association at Midwestern University. After completing his doctorate, Dr. Cook completed an additional yearlong Residency training at Jonathan M. Wainwright Veterans Administration Medical Center in Walla Walla, Washington. Dr. Cook continued his teaching interests at the VA Medical Center as Preceptor for two optometric interns at the Center. Dr. Cook, his wife and three children returned to Arizona and joined the medical staff of Horizon Eye Specialists & LASIK Center in 2016. He is fluent in Spanish with some speaking ability in Portuguese. Dr. Cook is a member of the American Academy of Optometry, American Optometric Association, and Arizona Optometric Association. He also is now an Assistant Professor at Arizona College of Optometry at Midwestern University, along with the other doctors at Horizon. 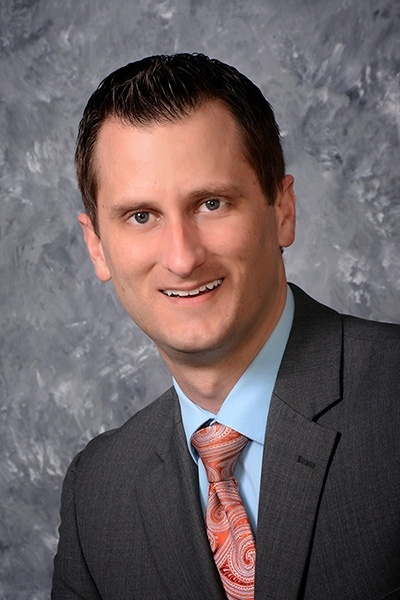 Dr. Cook sees patients at the Scottsdale office, Downtown Phoenix office and Arrowhead office.